II. What Is a Silicon Compiler? 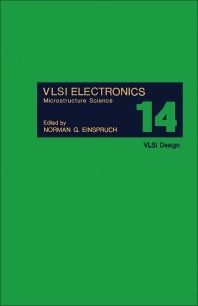 VLSI Electronics Microstructure Science, Volume 14: VLSI Design presents a comprehensive exposition and assessment of the developments and trends in VLSI (Very Large Scale Integration) electronics. This volume covers topics that range from microscopic aspects of materials behavior and device performance to the comprehension of VLSI in systems applications. Each article is prepared by a recognized authority. The subjects discussed in this book include VLSI processor design methodology; the RISC (Reduced Instruction Set Computer); the VLSI testing program; silicon compilers for VLSI; and specialized silicon compiler and programmable chip for language recognition. Scientists, engineers, researchers, device designers, and systems architects will find the book very useful.